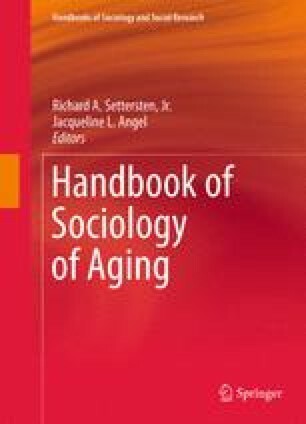 Throughout the relatively short history of the sociology of aging, many scholars have lamented the lack of theory and common conceptualization of issues (Orbach 1974; Maddox and Wiley 1976; Passuth and Bengtson 1988; Marshall and Mueller 2003; Bengtson et al. 1997). This reflects the growing opportunity for theorizing about age and age structure, but at the same time points to the continuing lack of agreement in theoretical paradigms or perspective – a problem that has persisted throughout the years. Our approach in this chapter is to provide a brief history of theoretical perspectives in the sociology of aging, and to indicate some areas where promising theoretical developments are emerging. First, we review theory development up to the late 1970s, when the field began to turn to the life course perspective. Second, we explore some of the more significant developments in theory over the past 30 years. Lastly, we preview a few challenges in theorizing for the future.